Michael Feher, "The Rating Game: Life, Liberty, and the Pursuit of Appreciation"
Michel Feher delivers a free, public lecture as part of the Intra-Disciplinary Seminar series. The ascendancy of finance entices economic agents to meet new expectations. Firms primarily care about the rating of their stock, public officials do whatever it takes to maintain the trust of bondholders, and households mainly attend to the value of their assets. The relentless pursuit of appreciation, whether in financial markets or on social media, not only modifies the way capitalism operates but also affects the resistances that it generates. 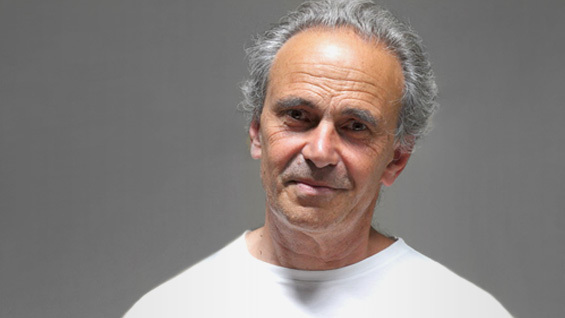 Michel Feher is a philosopher who has taught at the École Nationale Supérieure, Paris, and at the University of California, Berkeley, and was recently a Visiting Professor at Goldsmiths, University of London. He is the publisher and a founding editor of Zone Books, NY (in 1986) as well as the president and co-founder of Cette France-là, Paris (in 2008), a monitoring group on French immigration policy. Among other publications, he is the author of Powerless by Design: The Age of the International Community (2000) and the co-editor of Nongovernmental Politics (2007), with Gaëlle Krikorian and Yates McKee, and of Europe at a Crossroads/near Futures Online, with William Callison, Milad Odabaei and Aurélie Windels (2015). His most recent book, Rated Agency: Investee Politics in a Speculative Age (2018) examines the extraordinary shift in conduct and orientation generated by financialization, particularly the new political resistances and aspirations that investees draw from their rated agency. The Spring 2019 IDS Lecture Series at The Cooper Union is organized by Leslie Hewitt and Omar Berrada. The IDS Public Lecture Series is part of the Robert Lehman Visiting Artist Program at The Cooper Union. We are grateful for major funding and support from the Robert Lehman Foundation for the series. The IDS Public Lecture Series is also made possible by the New York State Council on the Arts with the support of Governor Andrew M. Cuomo and the New York State Legislature. Mr. Feher's lecture has benefitted from support from the Cultural services of the French Embassy.